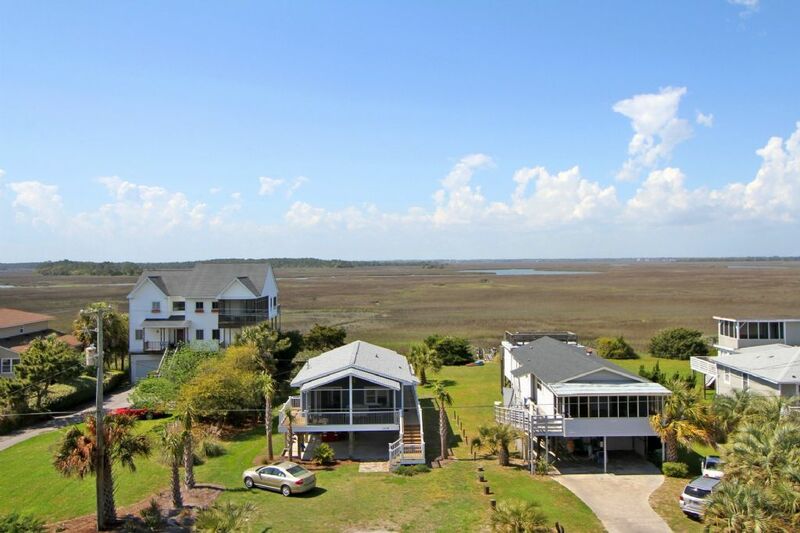 Looking for an Event House to host your wedding, family reunion or other big gathering?? 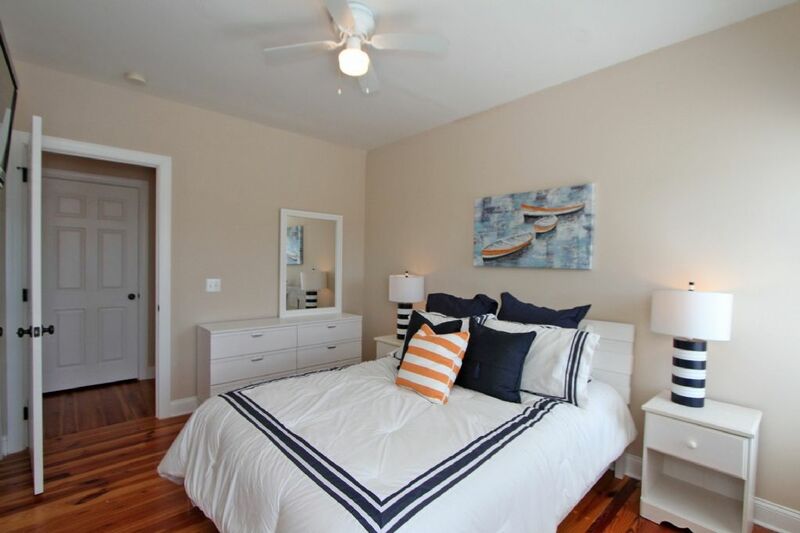 Rent both, Bliss and Bliss 2, for a total of 9 bedrooms sleeping 22. 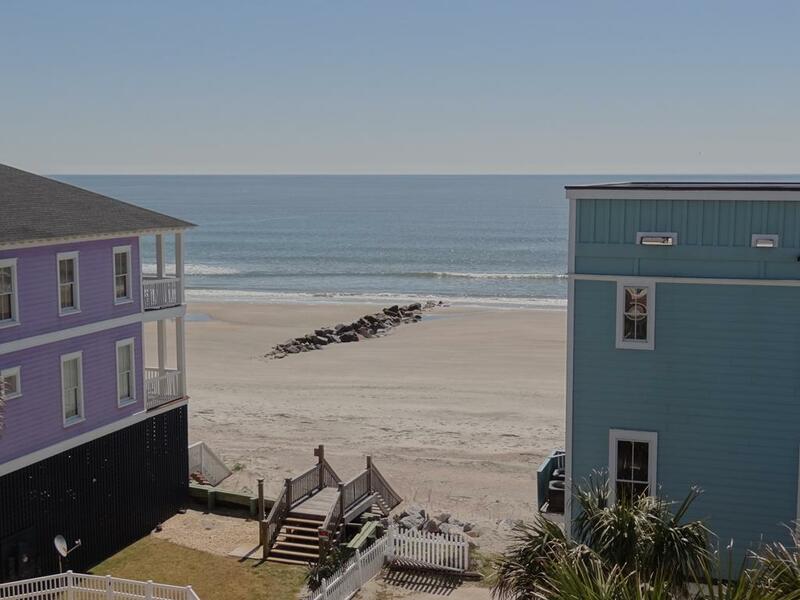 Have up to 98 guests join you on the beach to celebrate your big day! 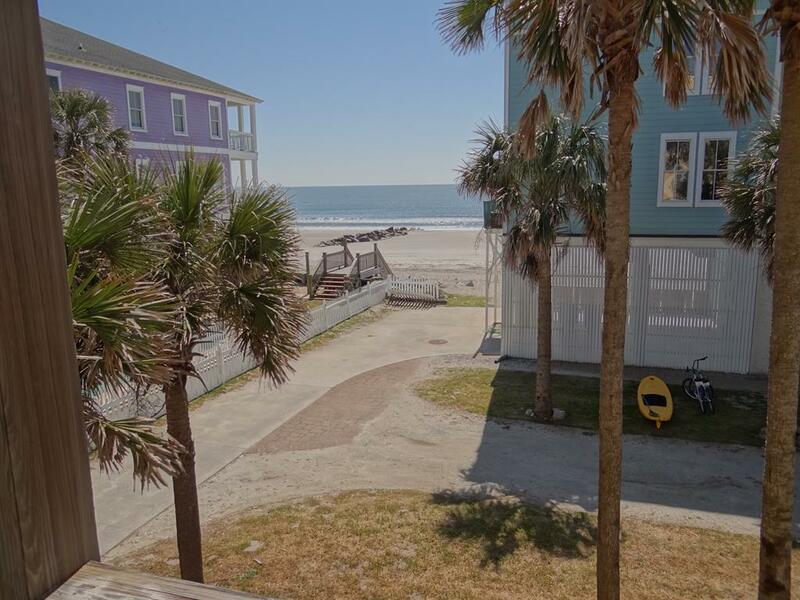 Set up tents, caterers, decorations, tables, and chairs in the middle yard between the two houses. 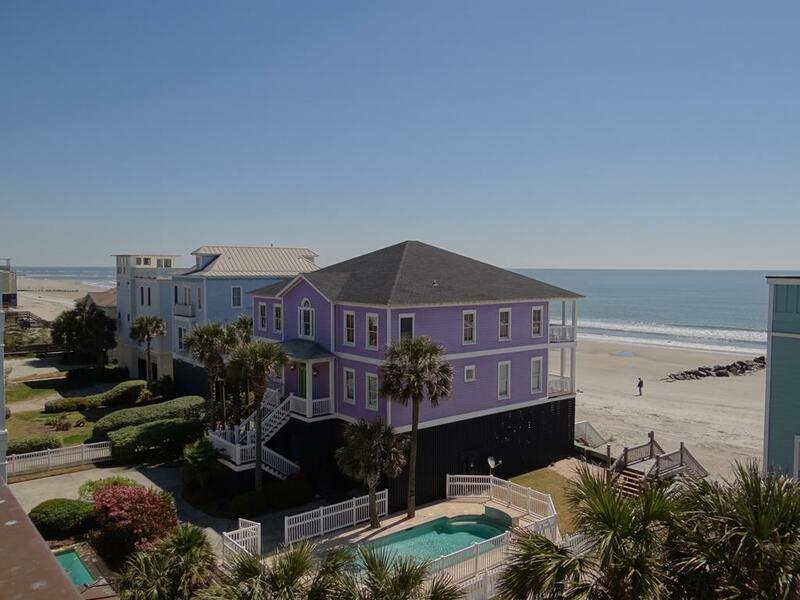 Both homes must be rented together in order to host an event on the properties and an event fee of $1,100 would be applied to the total reservation cost. 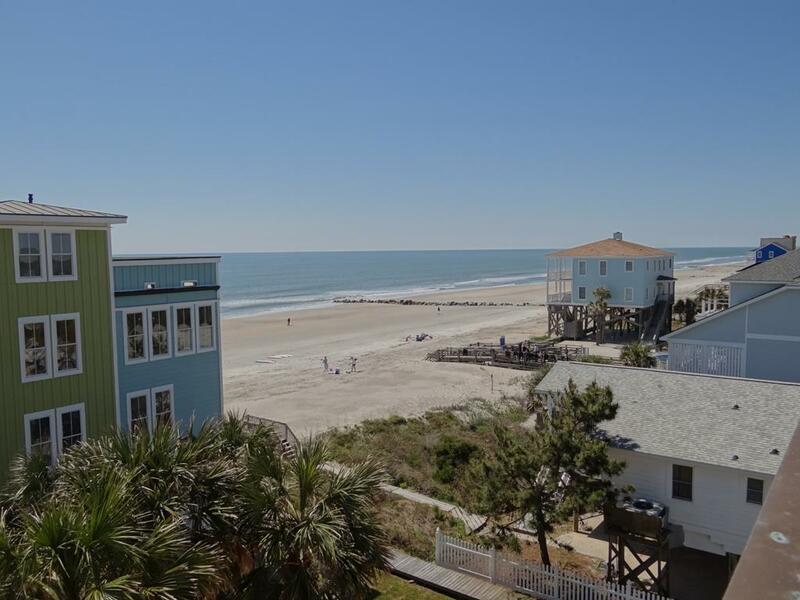 The City of Folly Beach event permit would need to be submitted for each property, but it's free! 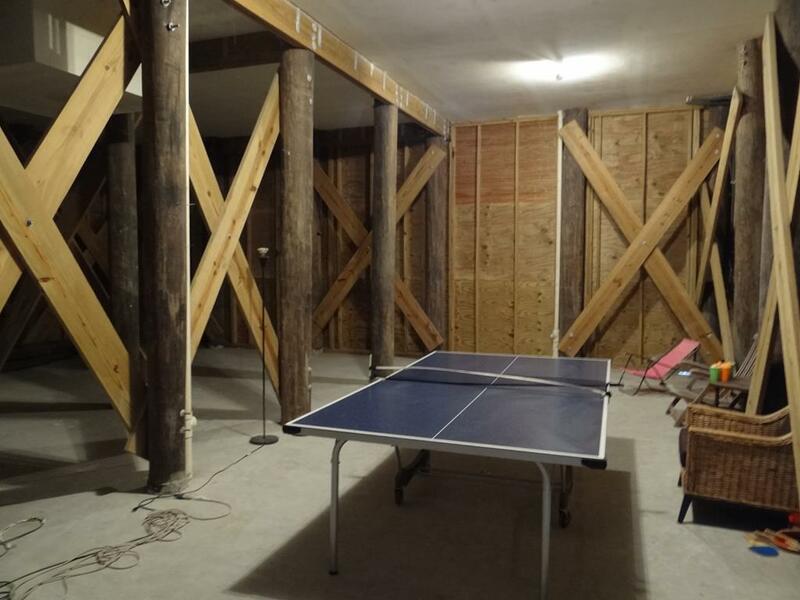 Upon entering Bliss you will be greeted with a large, 2 car garage and bonus room equipped with Ping-Pong to keep everyone entertained. 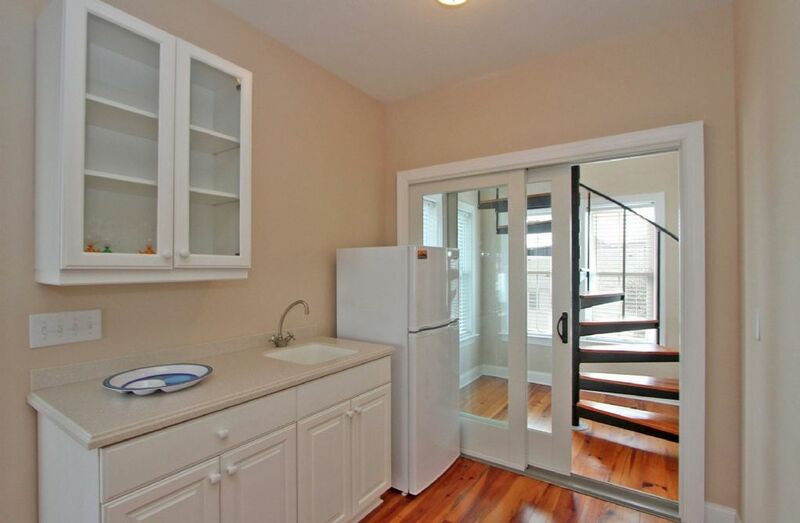 From this ground level, you will have access to the staircase that leads to all floors. 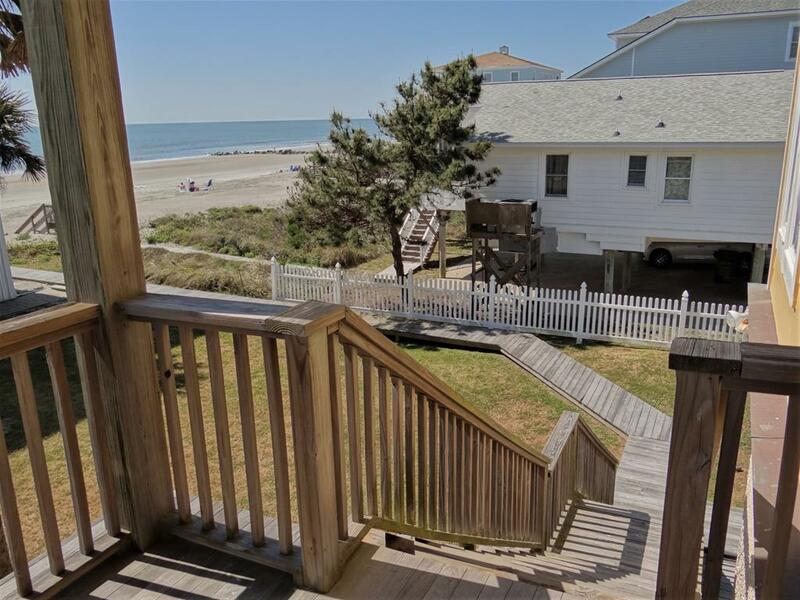 The private boardwalk leads out of the back of the home to the beach, which is only about 30 yards away. 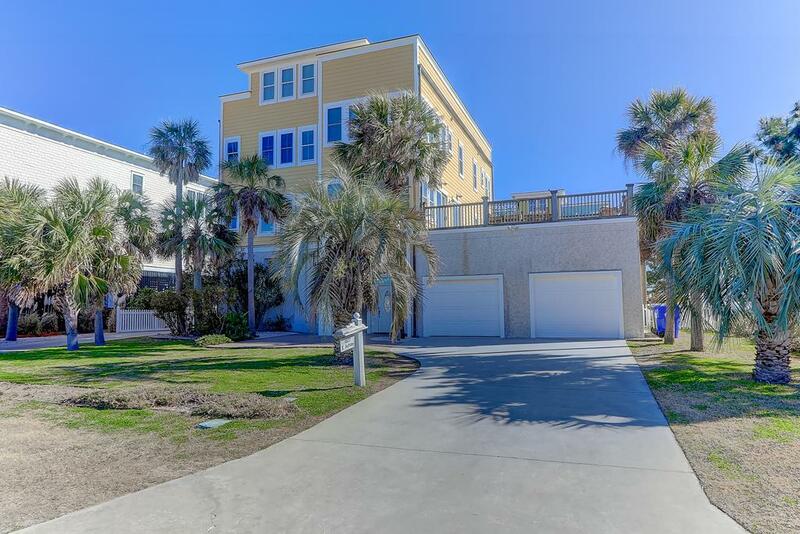 Beach has been newly re-nourished in front of this home, so there is plenty of sand at all times for building sand castles and taking long walks looking for shells. 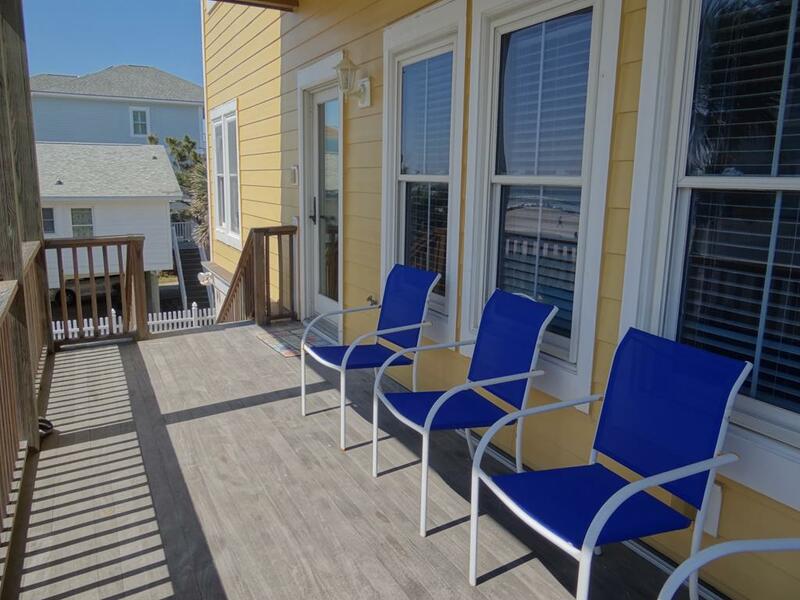 The first living floor has a living room with kitchenette and access to the covered porch with stairs leading down to the middle yard and beach boardwalk. 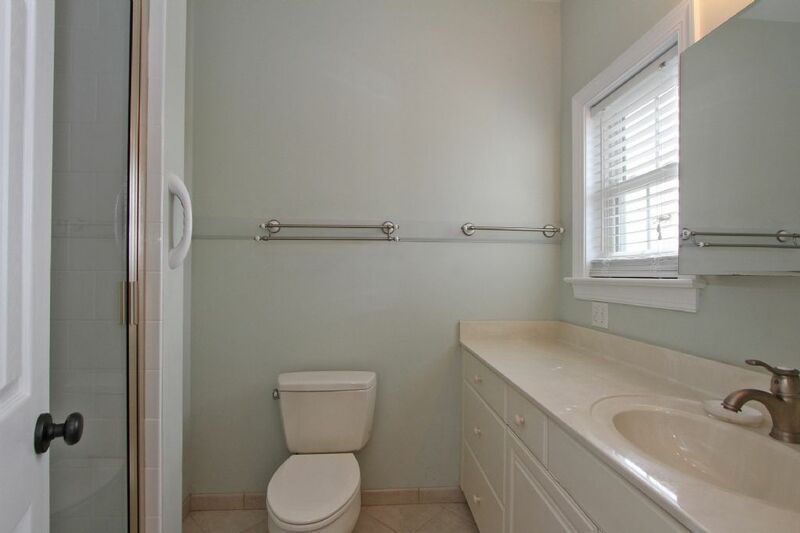 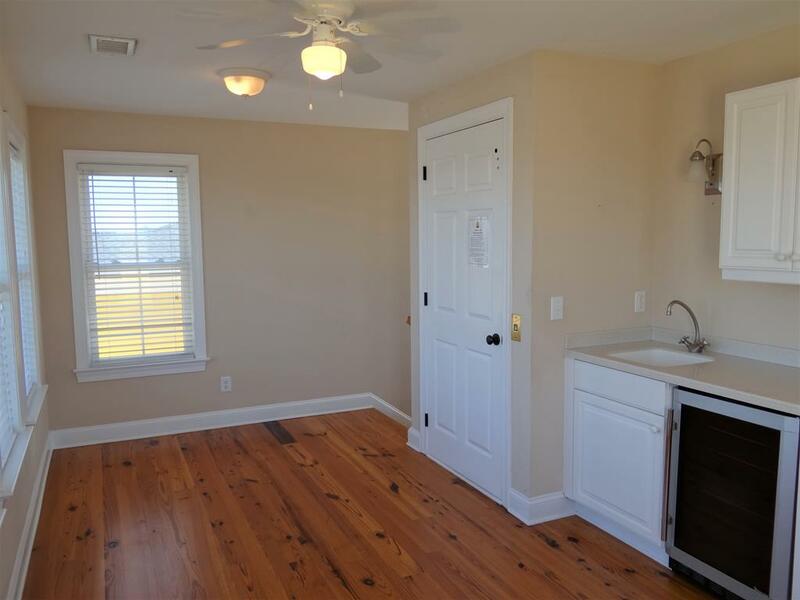 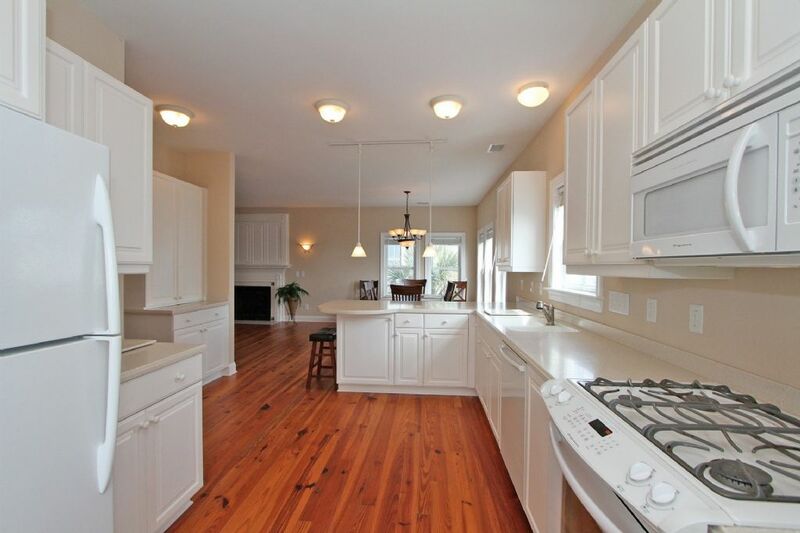 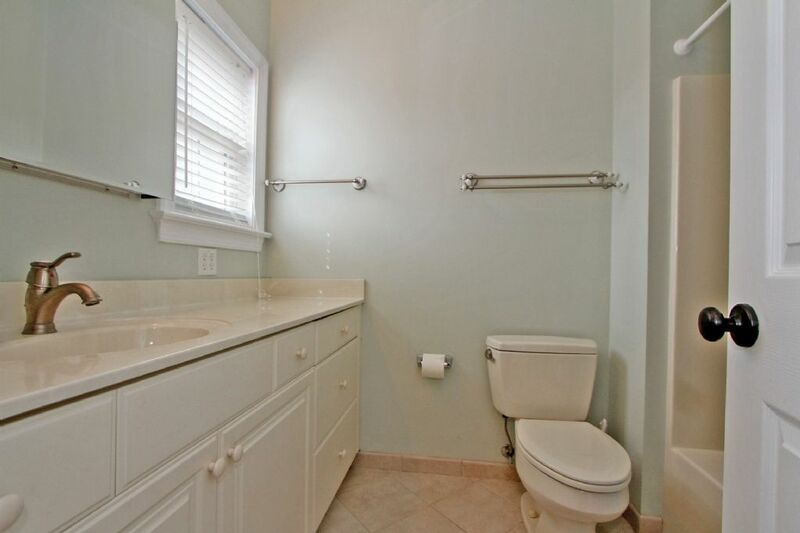 There are also 3 bedrooms, 2 full baths, 1 half bath in the hallway, along with a secondary sitting/game room. 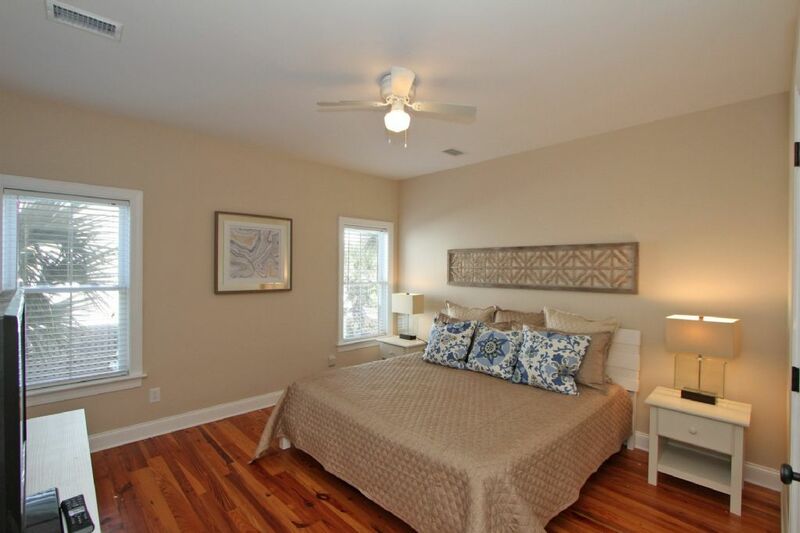 The master bedroom on the first floor has king-size bed with private bath. 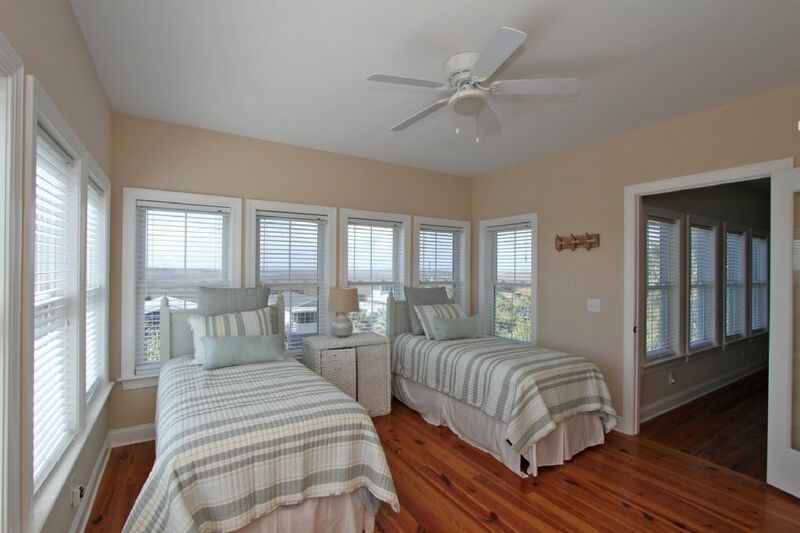 The remaining two rooms have queen beds. 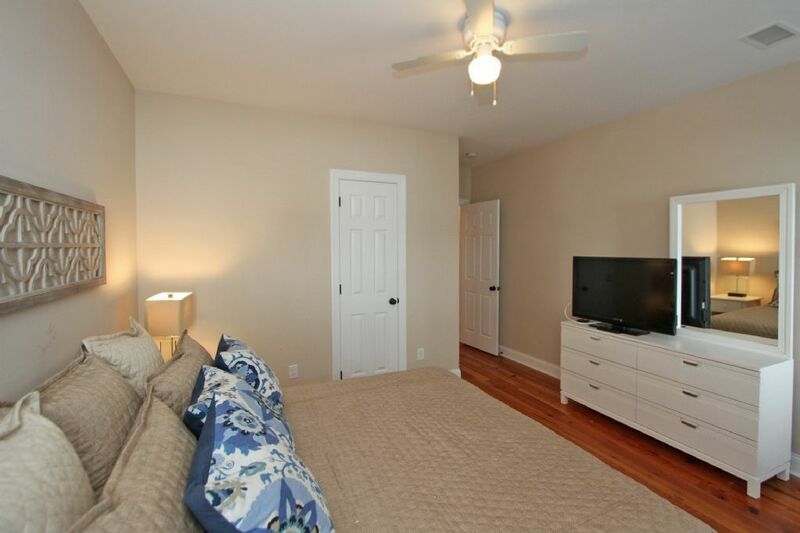 Every room has their own flat-screen TV with cable. 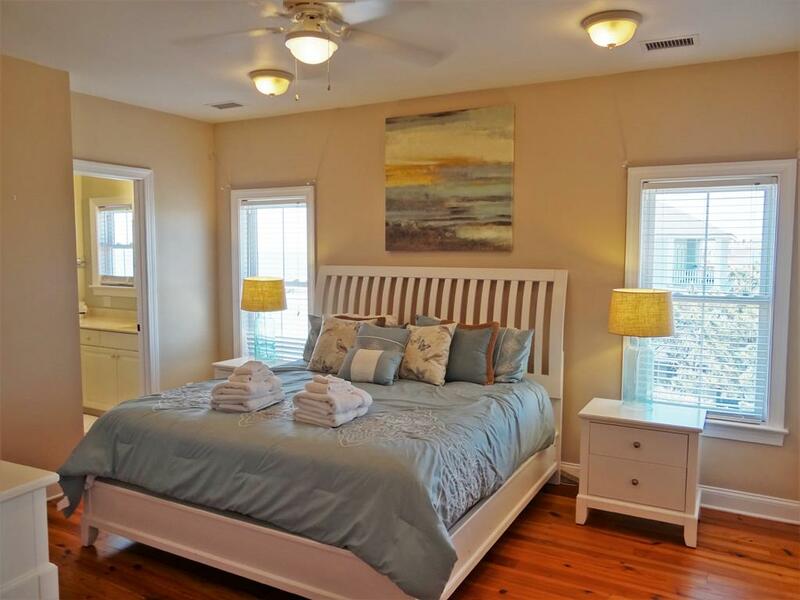 All bedrooms have new bedding and upgraded linens. 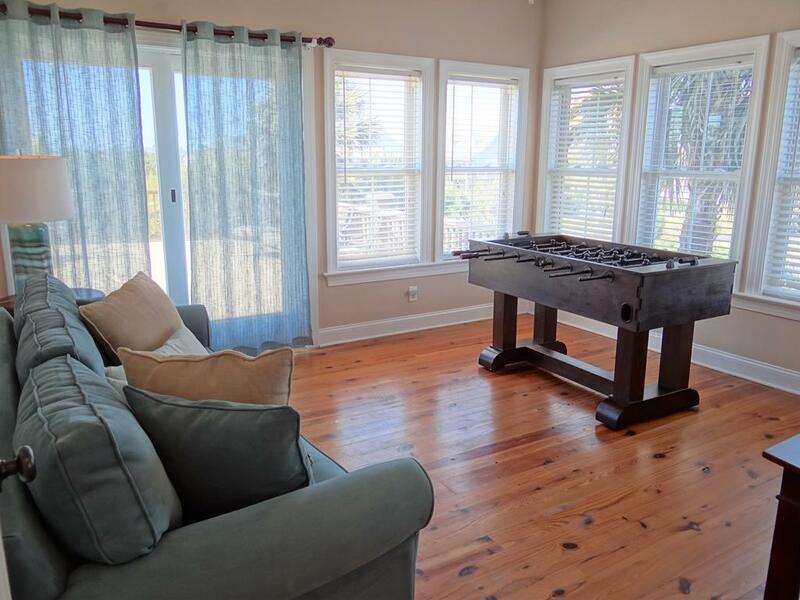 Game room has a flat-screen TV, sleeper sofa, Foosball table, games, and leads to deck on the ocean-side of the home with plenty of seating to bond with your guests and relax to the feel of the ocean breezes. 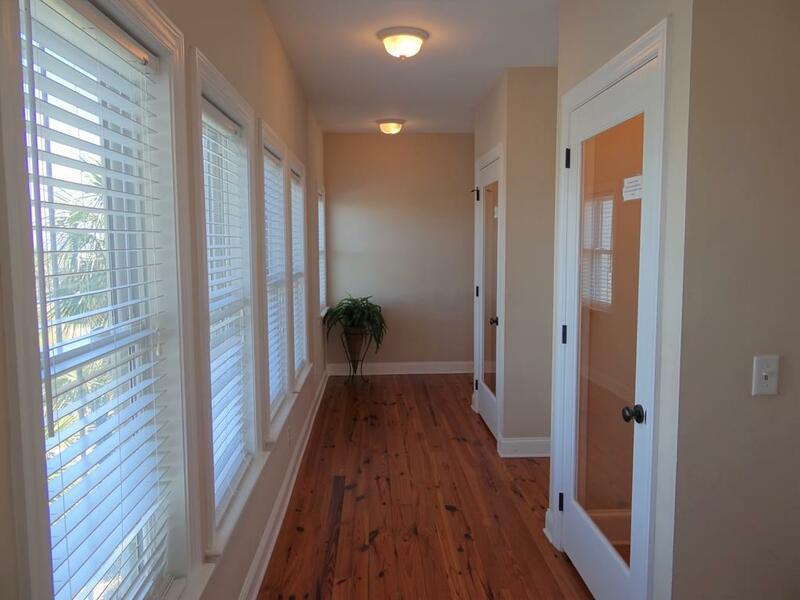 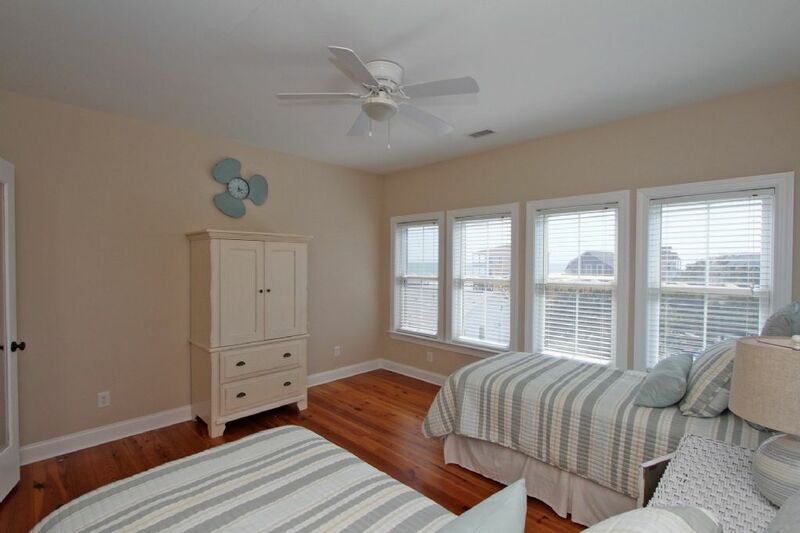 The second floor has a second master bedroom along with the perfect room for the kids! 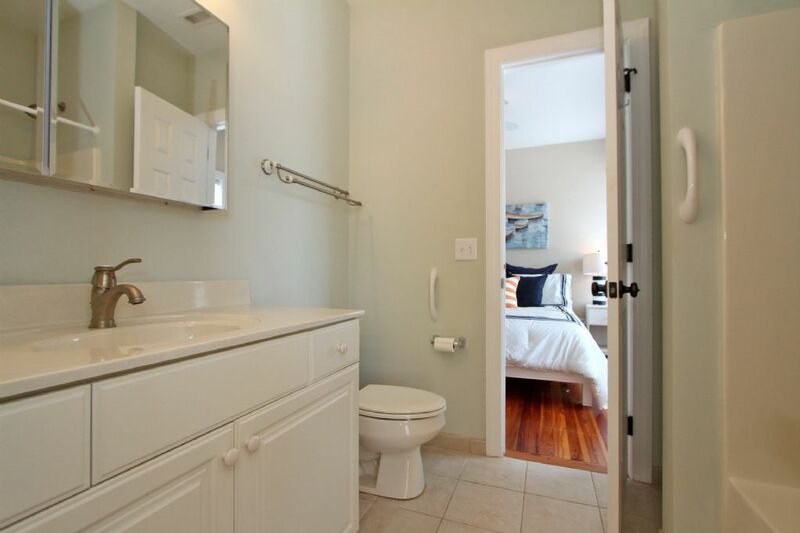 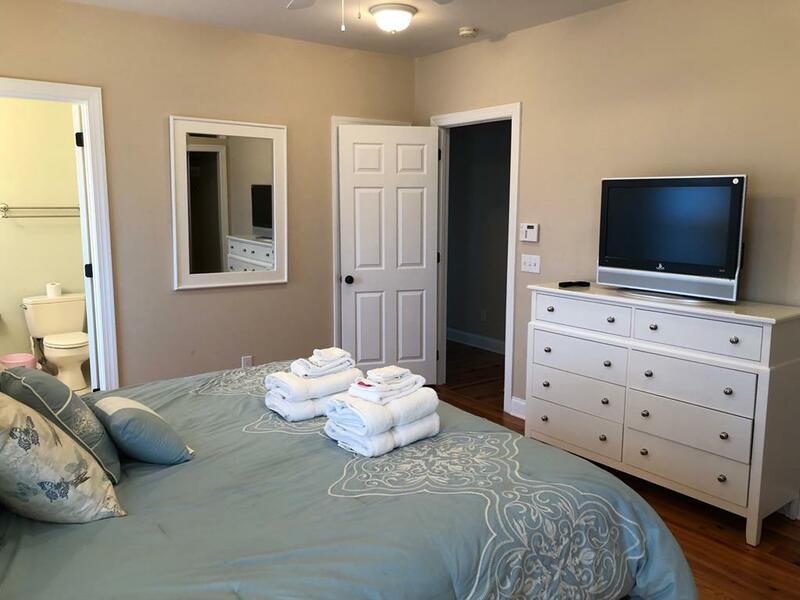 Master has a king size bed, flat screen TV and two full baths! 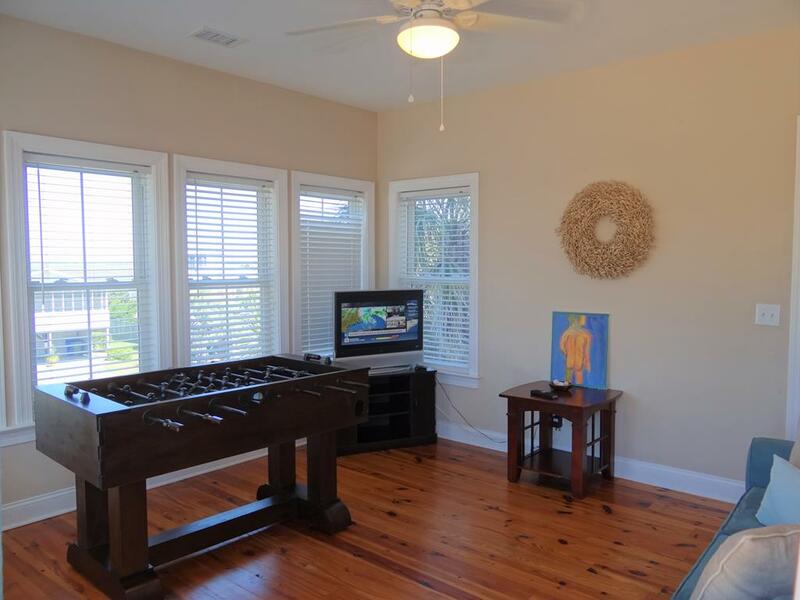 The kids room is equipped with two twin beds, TV, and plenty of views. 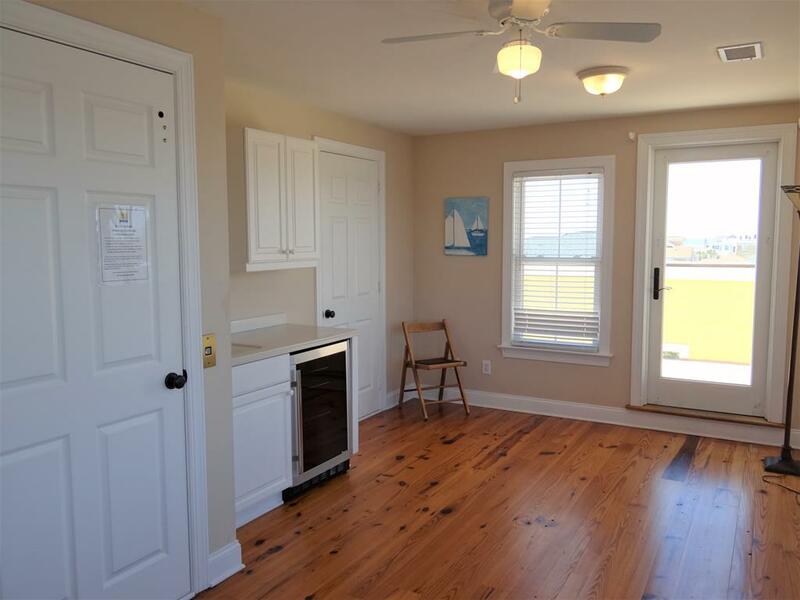 The full kitchen on this floor has everything you need to cook large family meals, a gas-range, dishwasher and seating for the whole family. 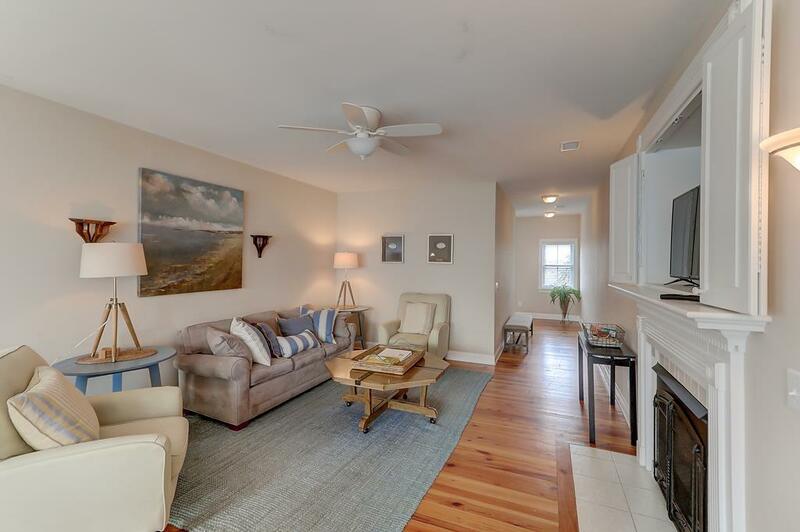 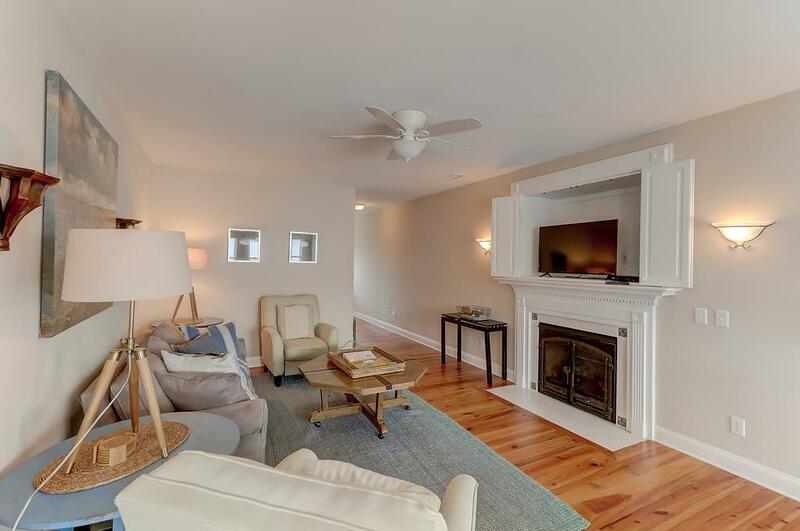 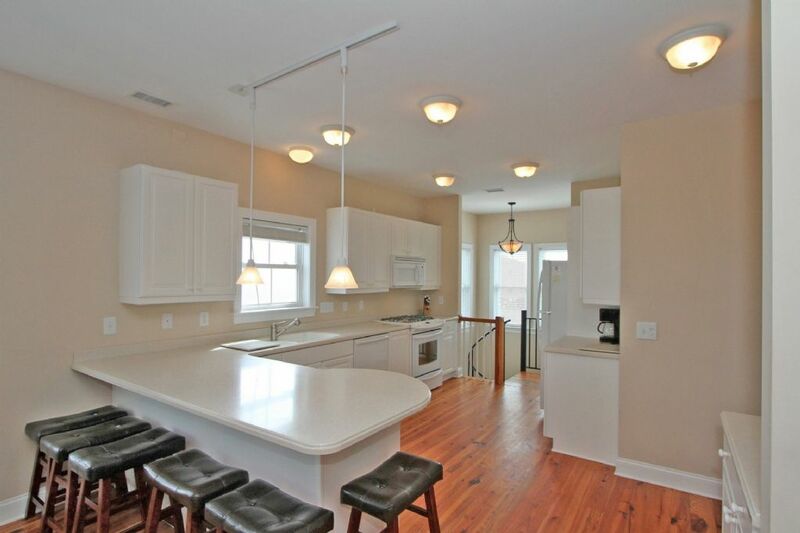 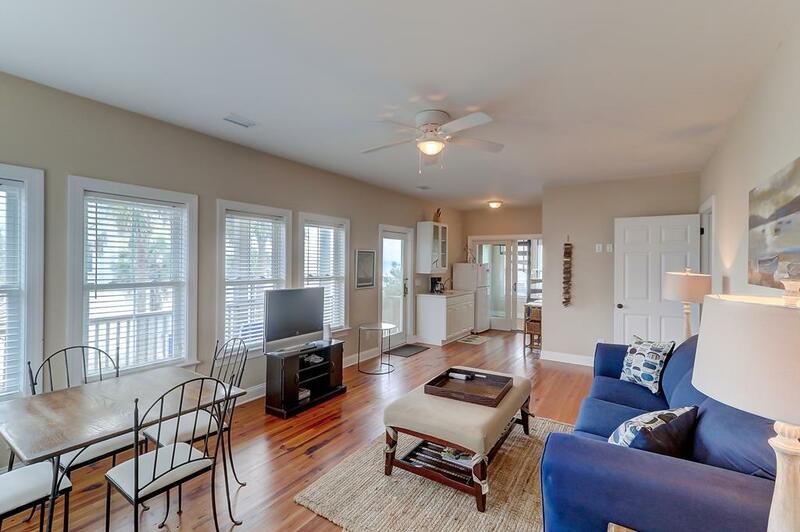 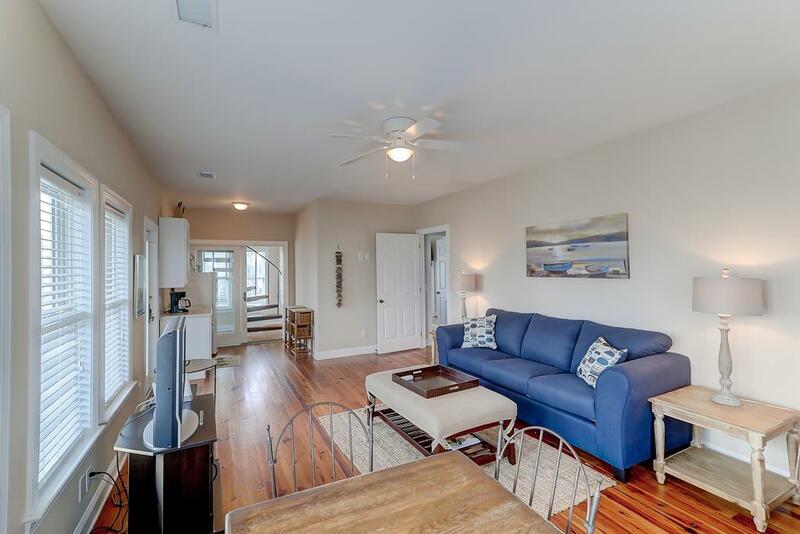 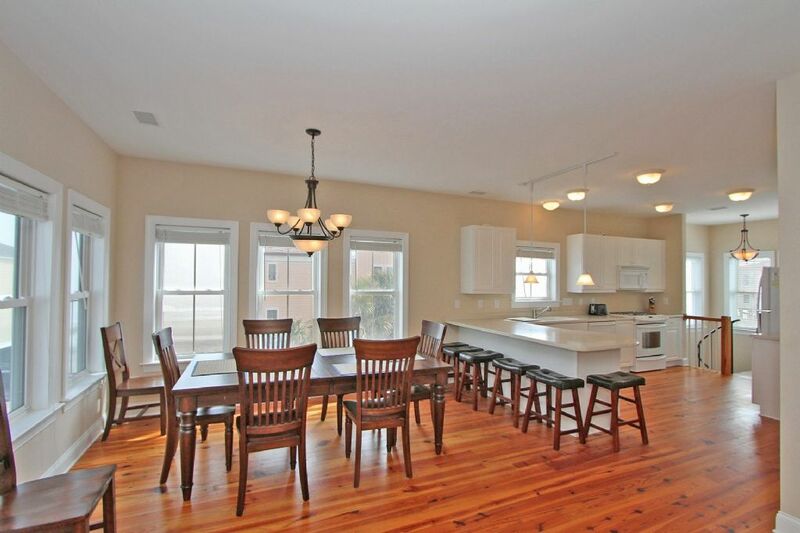 This open floor plan is perfect with the kitchen flowing into the living area with HD TV and huge sectional sofa to relax in the evenings, or on a rare rainy day on Folly Beach. 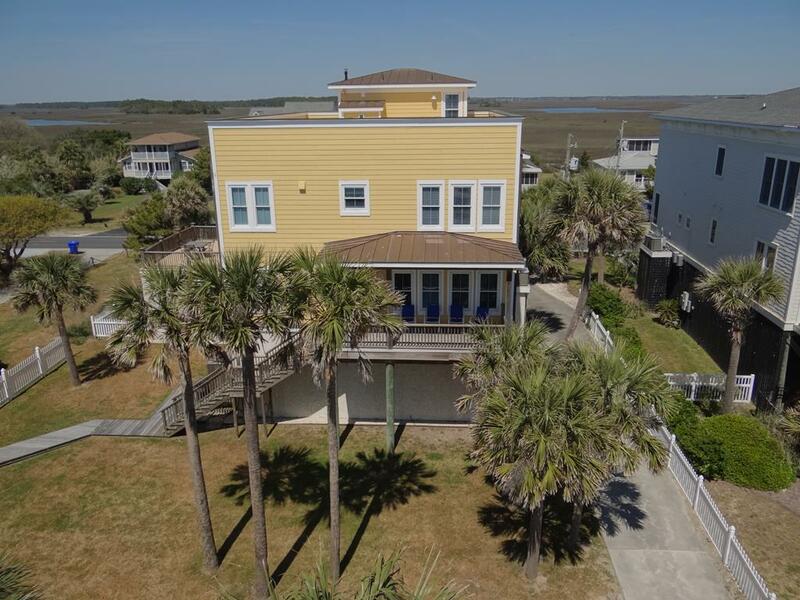 The top floor of this tall home has a wet-bar area and access to the roof top deck. 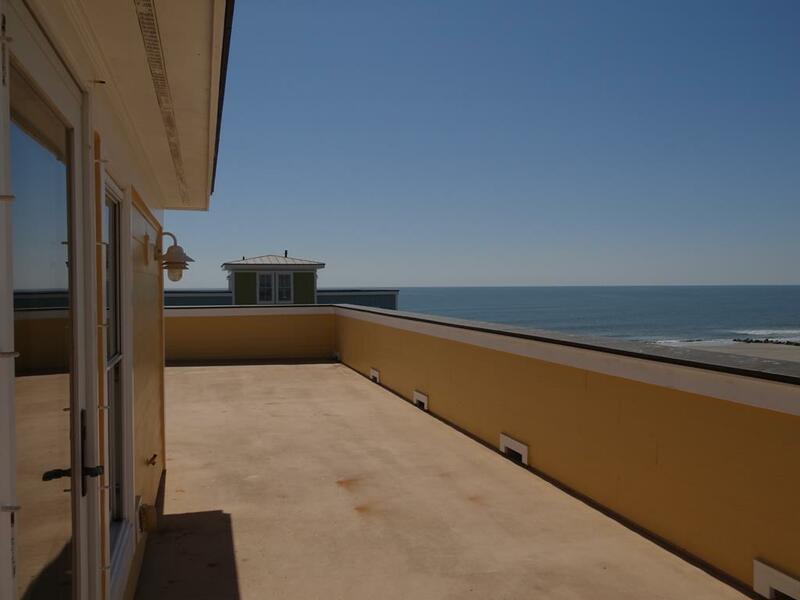 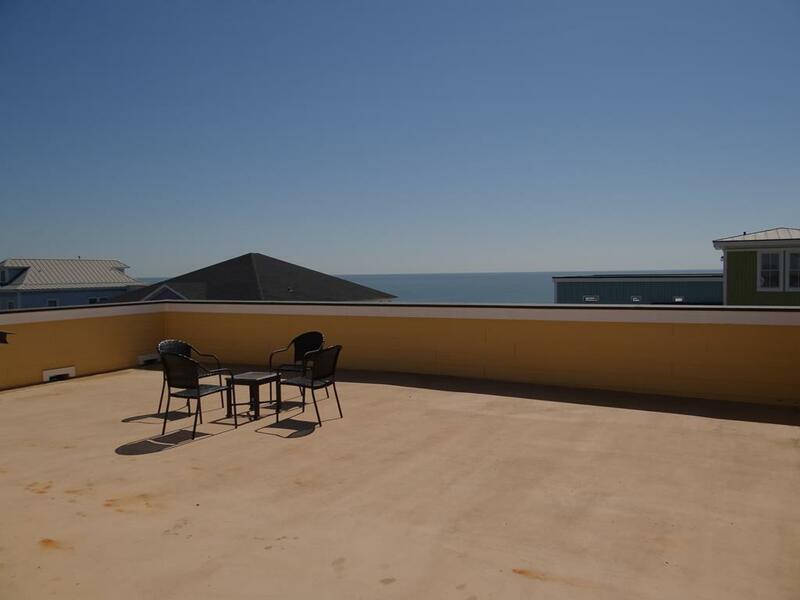 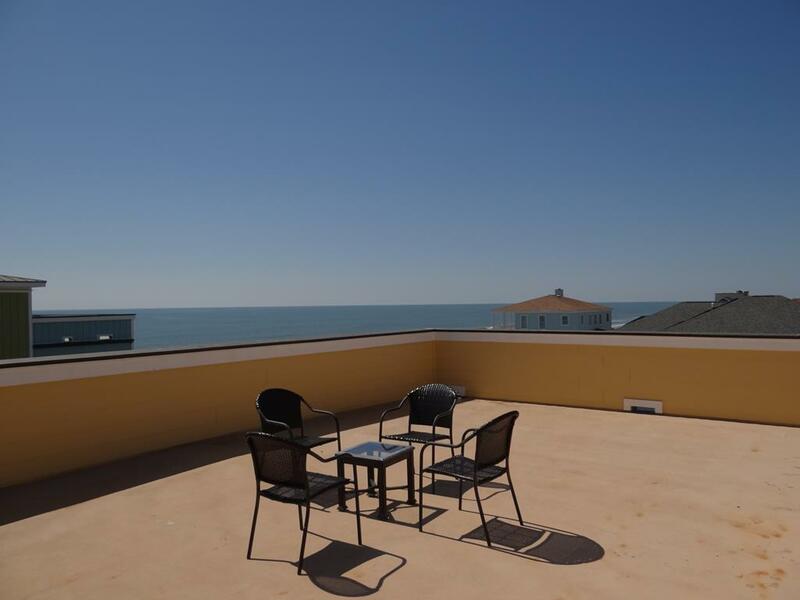 The roof top deck may be your favorite spot of the whole house! 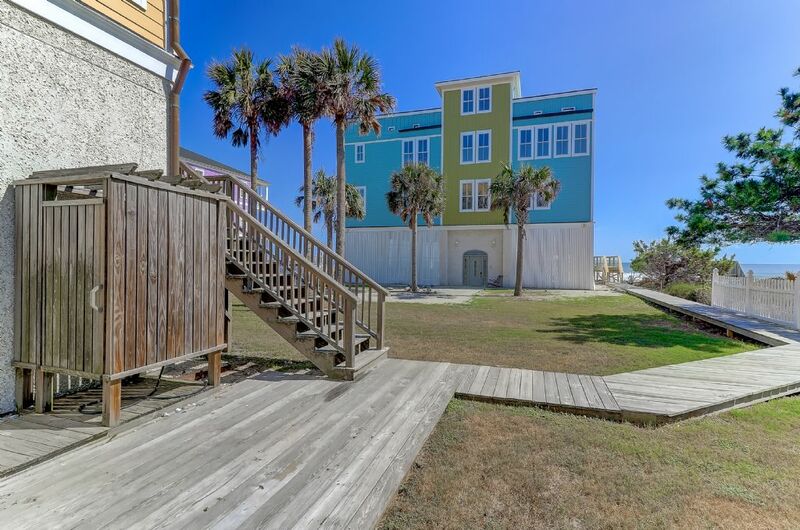 Corn-hole boards are provided for perfect entertainment while enjoying the views. 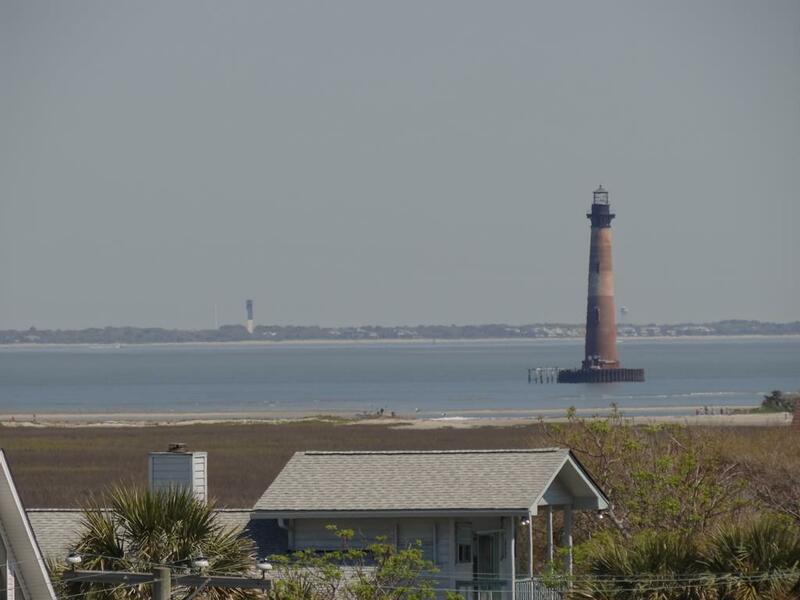 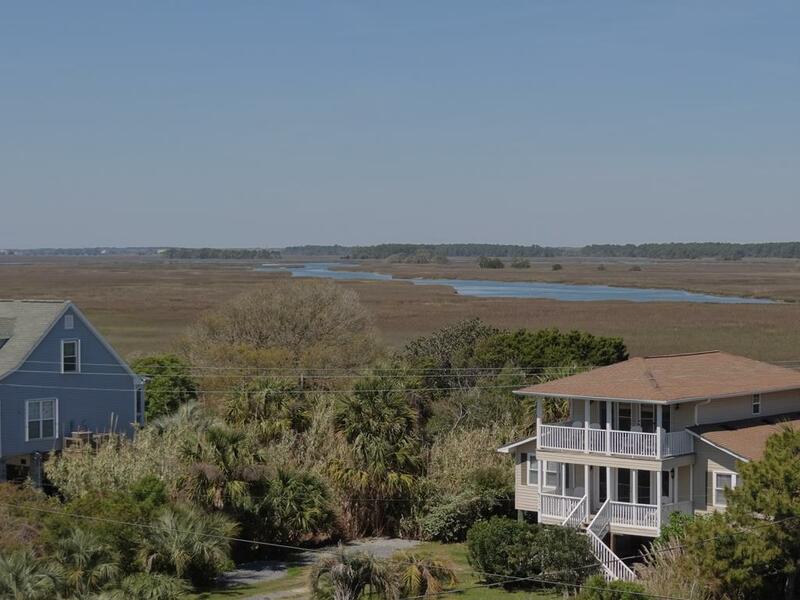 Panoramic views from this deck include both the Morris Island and Sullivan's Island lighthouses and the Cooper River Bridge in Charleston. 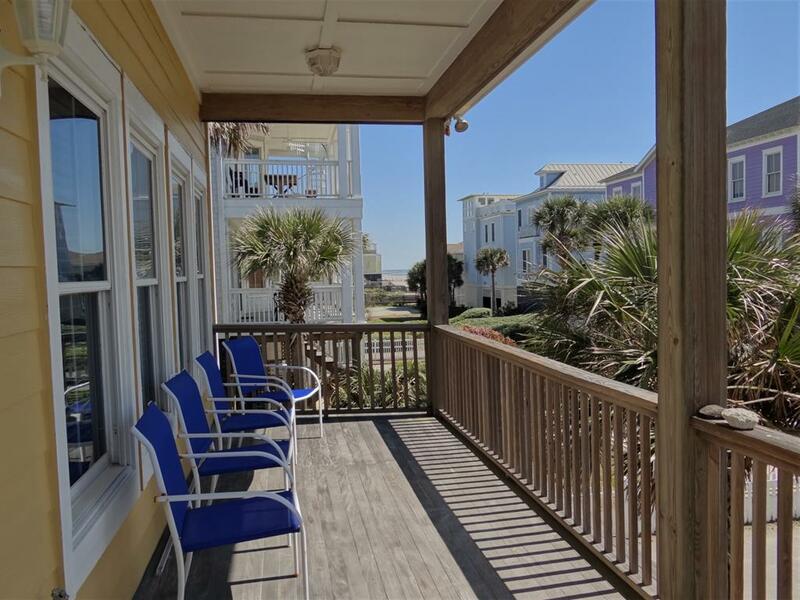 The sunset and sunrises you see from here will linger in your memory long after your vacation has ended. 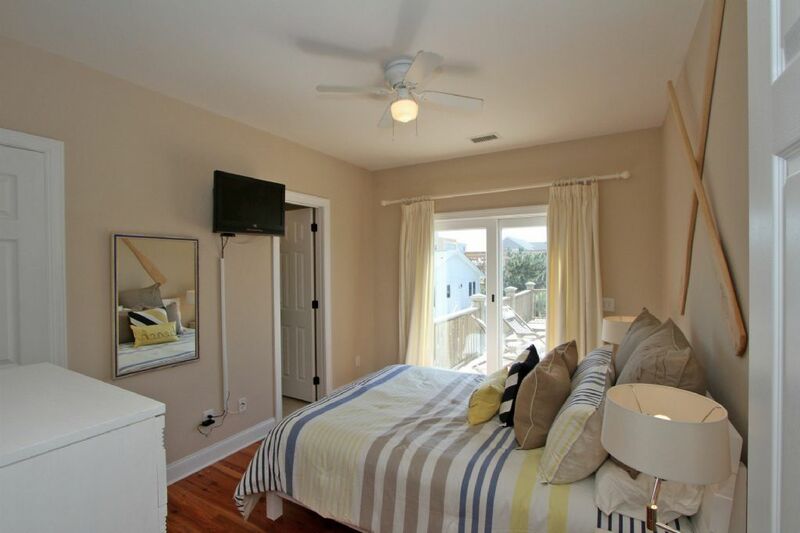 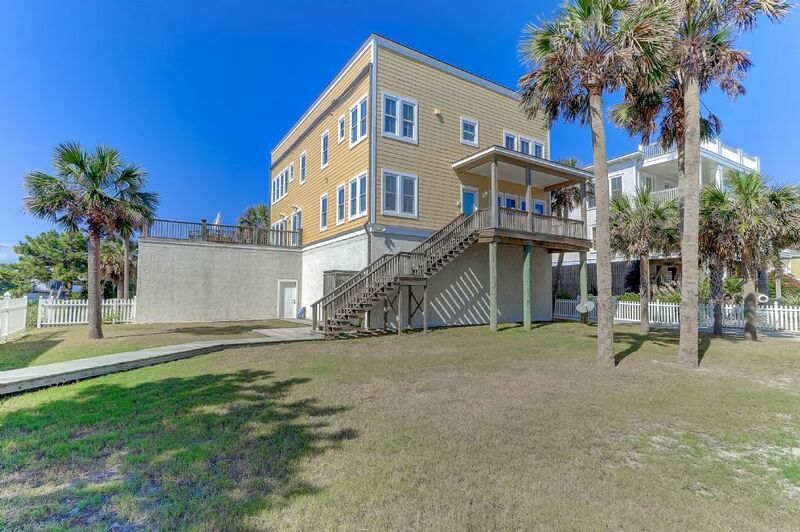 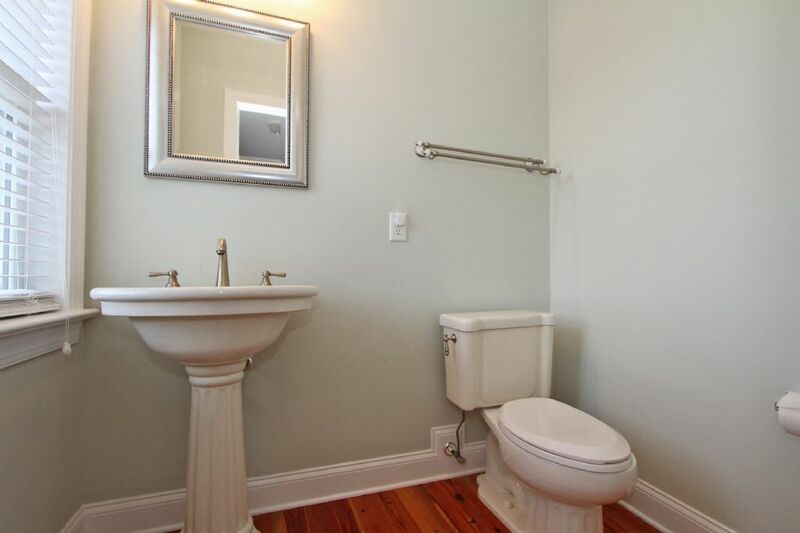 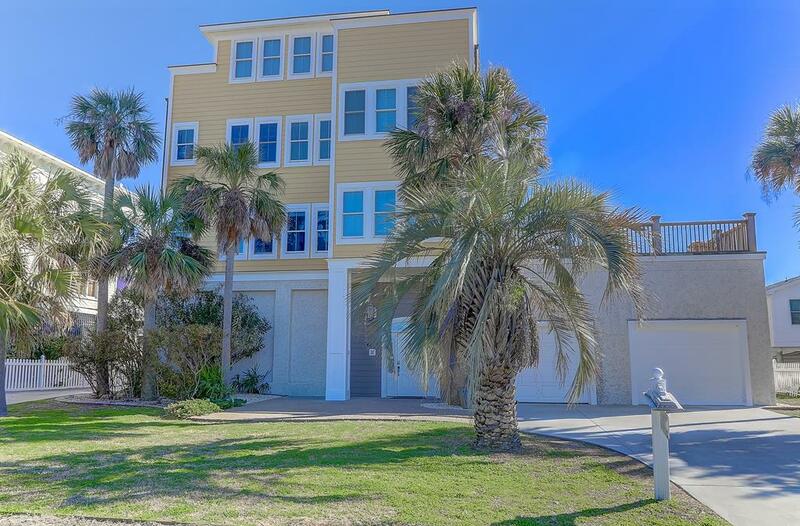 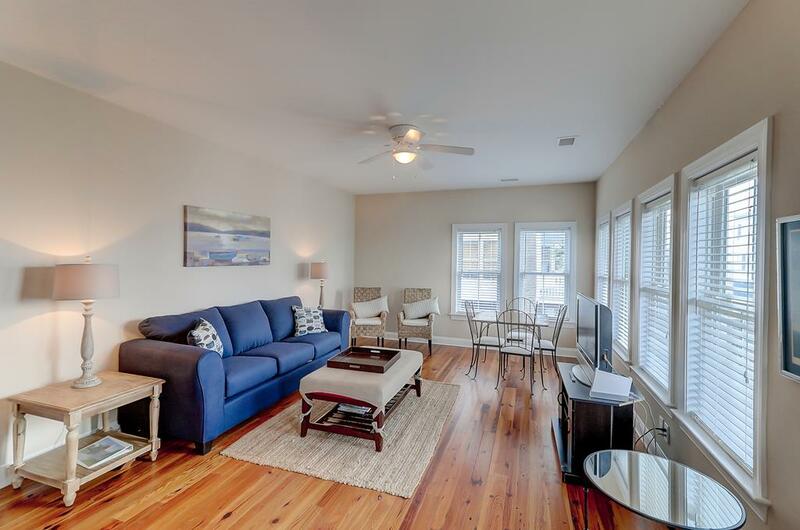 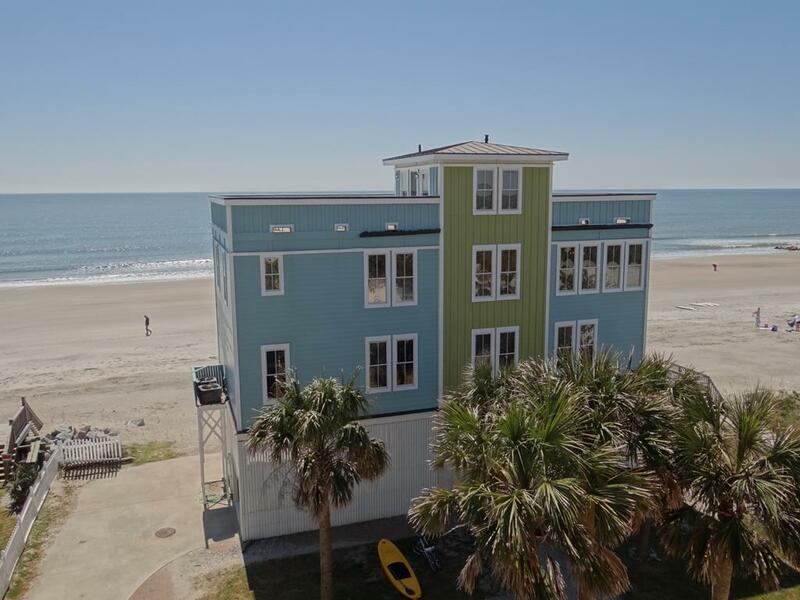 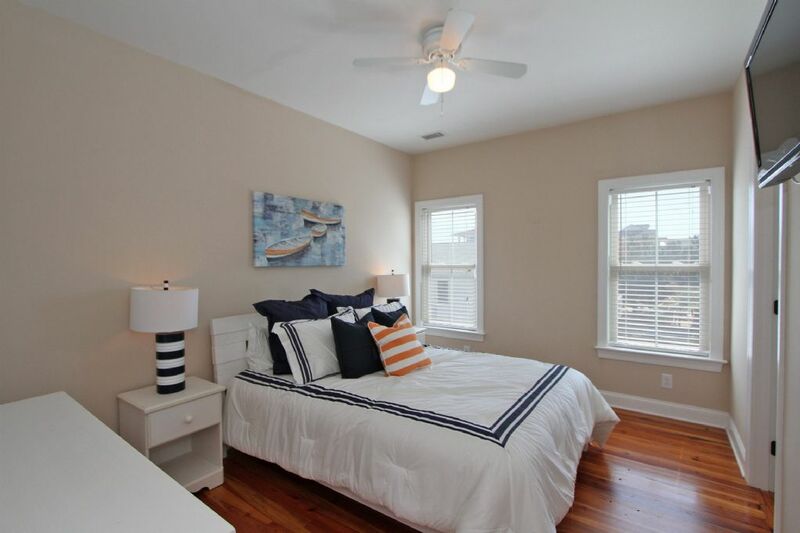 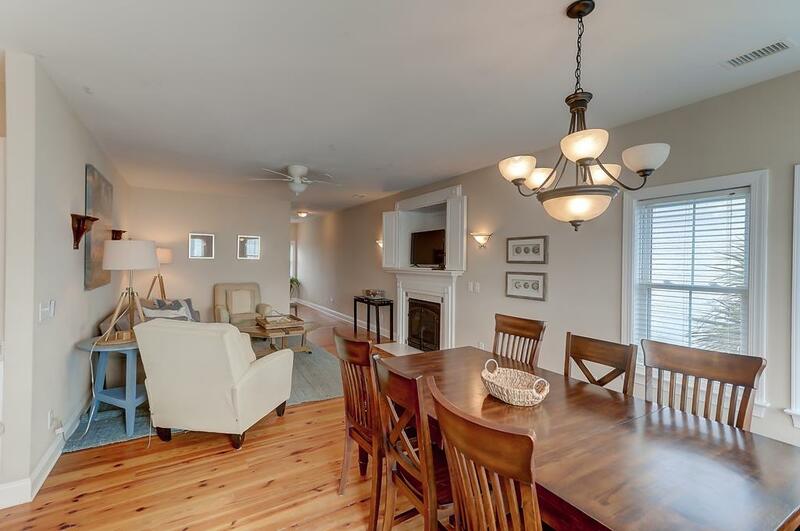 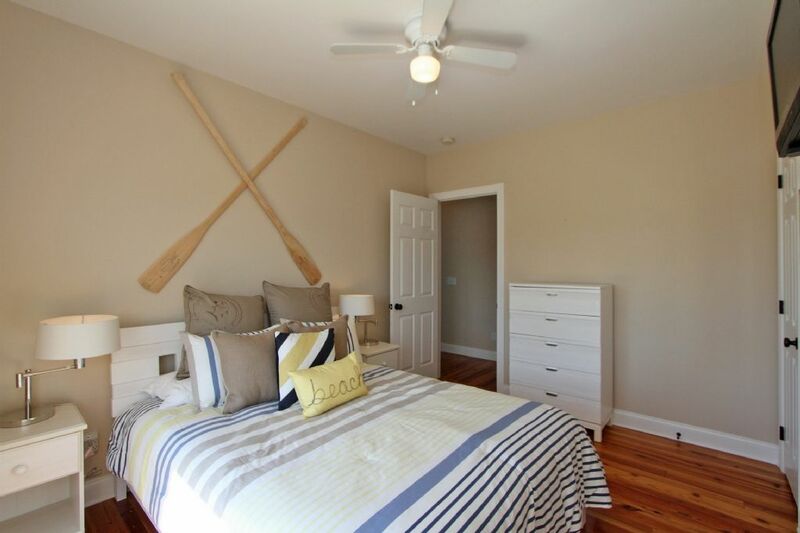 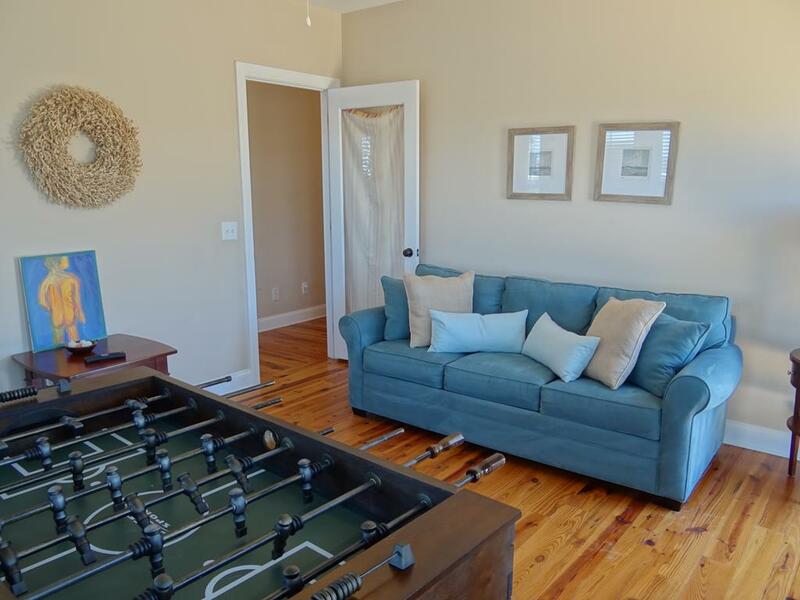 Amenities such as the fully stocked kitchen, washer/dryer, dishwasher, high-speed wireless internet, 7 total TV's, and more all to ensure that you have the comfort of home while enjoying your time on Folly Beach. 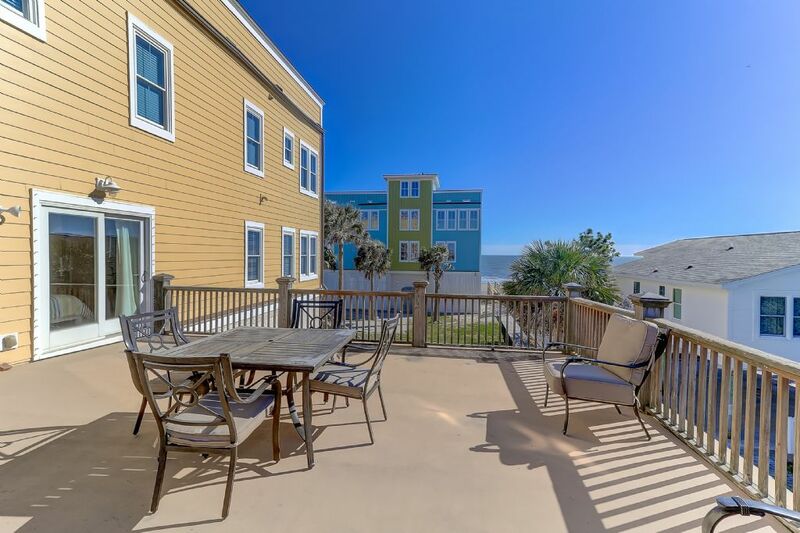 Downtown Charleston is only a 20-25 minute drive away to more sightseeing, history tours, and world-class shopping and restaurants. 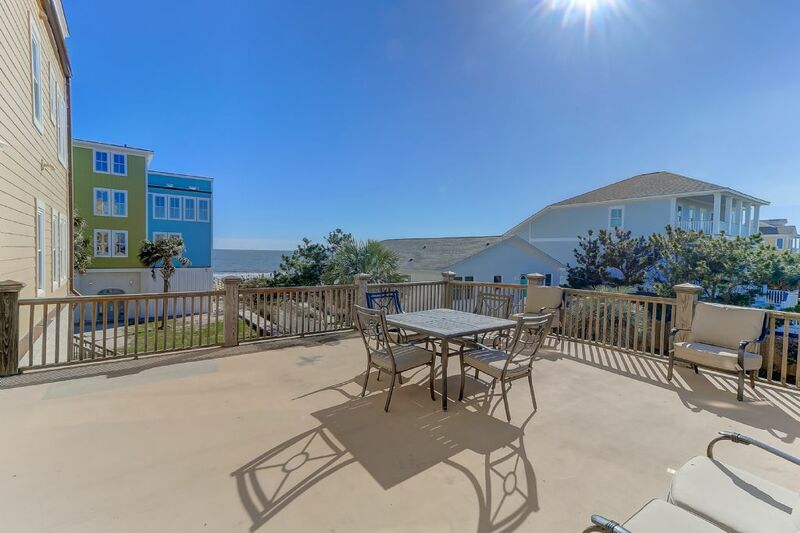 *Please note that this home shares a double lot with a private residence located between this home and the beach, yet still has wonderful 360 degree views. 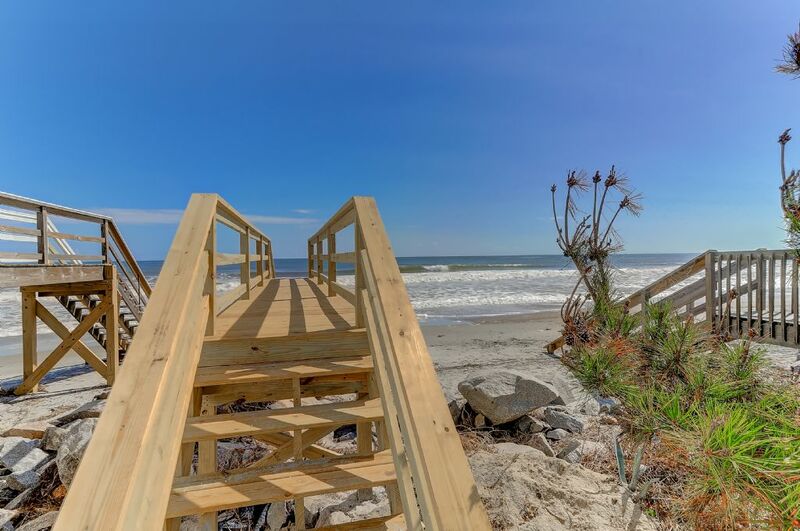 Just steps from the Ocean, this beach side home has its own private boardwalk & walkover to beach. 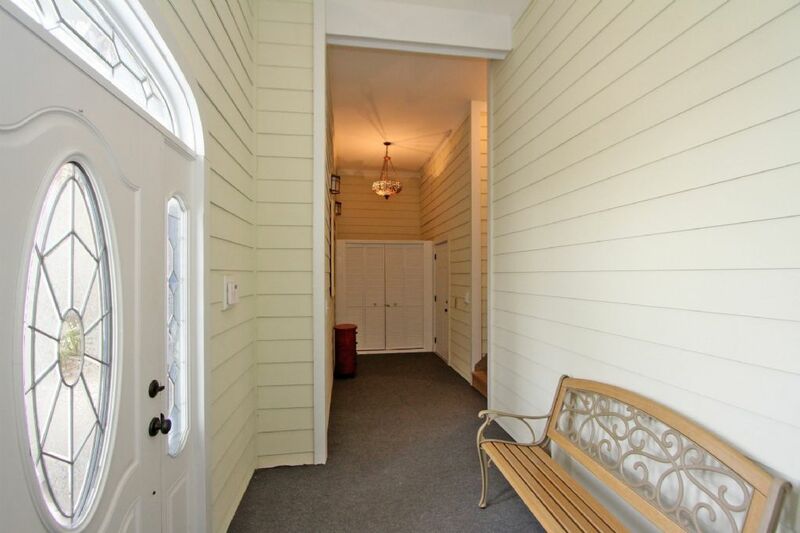 Private driveways lead to each house for separate parking.